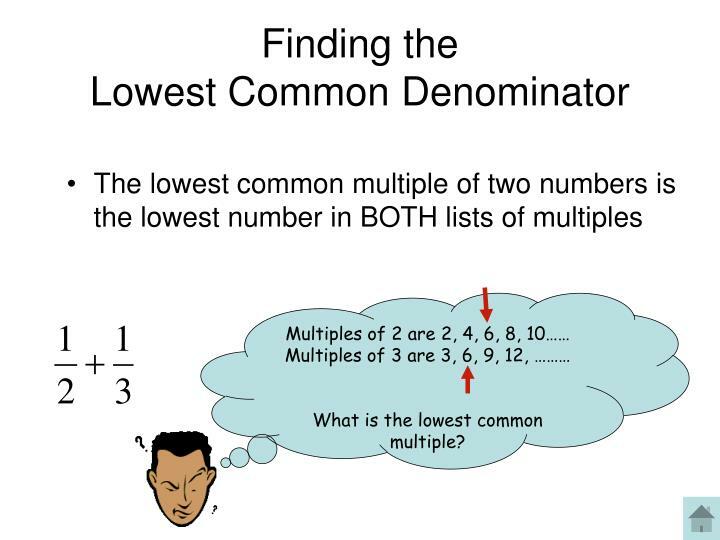 The lowest common denominator is the smallest whole number that is divisible by each of the denominators. In this case it is 12. In this case it is 12. To make both denominators 12, find out what you have to multiply each denominator by to get 12, then use that number to muliply the numerators (top numbers) to keep the fraction intact.